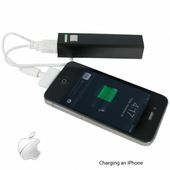 Great for Protection on Campus and Every Where Else! 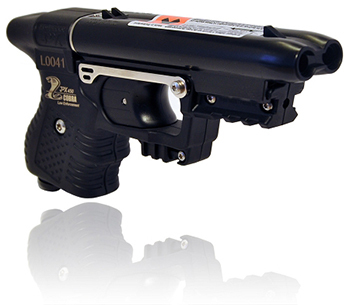 The Tornado 3 in 1 pepper spray system is about the size of a cell phone. It is lightweight and easy to you and can be accessed and deployed in one second. A single button releases the unit from the base and instantly you have a powerful 10% oleoresin capsicum (2 million Schoville Heat units) pepper spray ready for use. This tornado unit discharges eight one second bursts of law enforcement strength stopping power up to 12 feet. 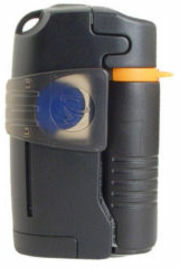 With the built in finger lock you always know the unit is pointed in the right direction so you can't spray yourself). The unit measures three and one-half inches x two and one quarter inches. A free belt clip is included with the unit and any of the tornado accessories will fit this model. The arm band with directional light accessory for use with the Tornado defense system is ideal for all outdoor activities- walking, jogging, hiking, or hunting. Just strap to either arm and you have your Tornado ready in case of emergency. The arm band also illuminates the immediate area and allows others to see you from a distance. Unit requires 2 AAA batteries (not included). The vehicle defense unit is an accessory for use with the Tornado defense system.� This accessory is inserted into an auxiliary power outlet in your vehicle (it does not drain any power from your car battery).� The rotating arm allows you to position the tornado unit any way you want so it is always ready in case of emergency. The home defense accessory for the Tornado defense system is perfect for mounting the unit at entry doors or next to your bed. It keeps the Tornado defense unit instantly accessible.